Piloted by Inter Aide, it aims at compiling and exchanging information and experiences on programs of development, methods, tools that appeared useful on the field. Several notes (in French or English) are related to WASH sector. Some of them are directly coming from the experiences of program managers based in Malawi, but there are also a lot of information from other countries which can be adapted. The Water and Environmental Sanitation Network (WESNET) is a membership based Civil Society network that coordinates the work of NGOs working in the water, sanitation and Hygiene subsector in Malawi. It recognizes the role of Water and Sanitation in economic development and poverty reduction. WES Network was established in 2005 and got registered with Malawi Government in 2011. WES Network’s head office is in Lilongwe with representation across the country by its member organizations. To date the WES Network has a membership of over 50 local and international NGO across Malawi. EWB – Canada is supporting Malawi’s WASH sector in acting collectively to improve WASH service delivery, by helping government and development partners to better coordinate their actions. The Rural Water Supply Network (RWSN) is the global network of professionals and practitioners working to raise standards of knowledge and evidence, technical and professional competence, practice and policy in rural water supply and so fulfil the vision of sustainable rural water services for all. RWSN places a very strong emphasis on innovation, documentation, research and capacity building. It achieves its objectives by catalysing innovation, providing evidence-based documentation, supporting research, sharing information, influencing policies and practices, supporting efforts to build capacity and facilitating networking. C reated by the French government in 1984, pS-Eau is non-profit organisation working towards universal access to water and sanitation. To deliver this aim, pS-Eau is organised into three areas: 1/ Research and Development ; 2/ Back-uo Support ; 3/ Promoting International Solidarity Mechanisms for Water: Shares information on, discusses and campaigns for universal access to water and sanitation, works to increase commitments and funding to the sector and facilitates debates on sector issues. A lot of documents and tools related to WASH sector are also available on line on their databases. 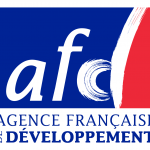 Agence Française de Développement (AFD) is a financial institution and the main implementing agency for France’s official development assistance to developing countries and overseas territories. The Fonds SUEZ initiatives engages in practical activities to promote access to water, sanitation, waste water treatment and waste management for vulnerable population groups in developing countries. The Fund is also actively involved in social integration, employment and training for struggling population groups in France. The Japan International Cooperation Agency’s operations aims at addressing key challenges for Malawi’s development and basic Human Needs, like education, healthcare, and access to safe water. Focusing on issues of 1) Sustainable Economic Growth, and 2) Social Development. The JICA is reinforcing Water Departments’ capacities, especially concerning the question of the maintenance of water points. They produced in collaboration with the Ministry of Agriculture, Irrigation and Water Development several guidelines.